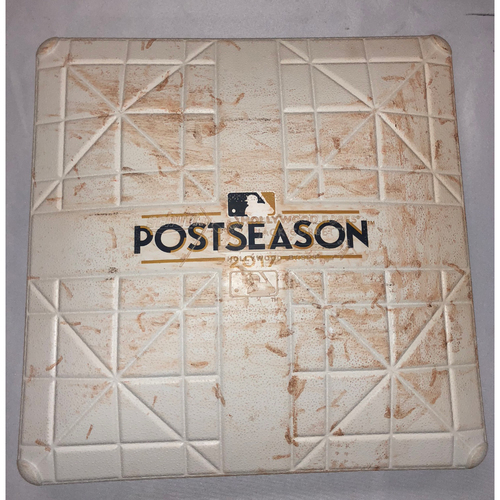 Bid on a Game-Used third base from October 8, 2017 used during the third through sixth inning, as the Houston Astros played the Bosotn Red Sox at Fenway Park. . This item is authenticated under the auspices of the MLB Authentication Program. By placing a bid on this item, you are expressly acknowledging the following conditions of this auction: All items are sold "as is". All sales are final. No refunds, returns, or exchanges. If you have any questions about this item, please contact fenwaygameused@yawkeywaystore.com before bidding.